Lost luggage can send a person into panic-mode. A pending marriage proposal can be downright unnerving. Combine all three? That will get your heart pounding. It’s a good thing the Alamo* team at Hartsfield–Jackson Atlanta International Airport knows how to handle stressful situations and stay calm, cool and collected while providing great customer service. And thanks to them, this story has a happy ending. 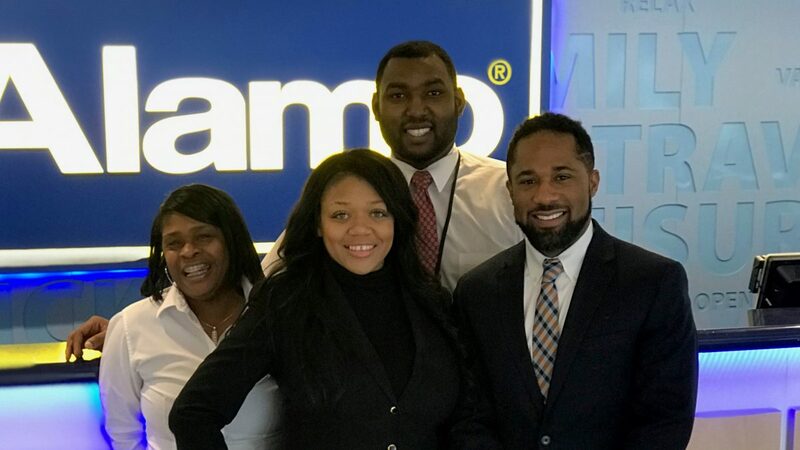 Brandon S., Station Manager for Alamo and National, and Alyssa H., Branch Rental Manager, were on the Alamo lot at the Atlanta airport when a customer alerted them to a terrible mistake: his luggage was accidentally taken by another customer. It took Brandon and the airport team about two hours to get a hold of the other customer and get the luggage returned to the airport. The customer was so overcome with happiness to have the bag back in his possession that he got down on one knee in front of the Alamo rental desk and proposed to his girlfriend. Brandon says it was a true team effort to assist the customer. Rental Agent Karen C. and Branch Rental Manager Kenny R. also stepped up to help that day. Hopefully the happy couple will always have a fond place in their hearts for Alamo. Grab a tissue and click here to watch the proposal caught on camera. *Alamo Rent-A-Car is part of a portfolio of rental brands operated by Enterprise Holdings.